Enlarged print edition now available! Writing in an approachable and anecdotal style, Tom Wright helps us see the great sweep of this letter. 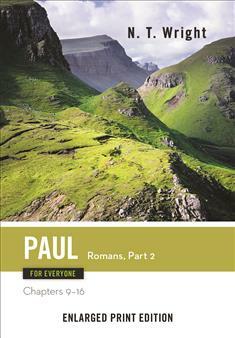 Romans has long been viewed as the book above all in which Paul puts forth the basic doctrines of the faith, and the picture of God's life for us. It is the classic setting-out of the Gospel.